Happy Monday! 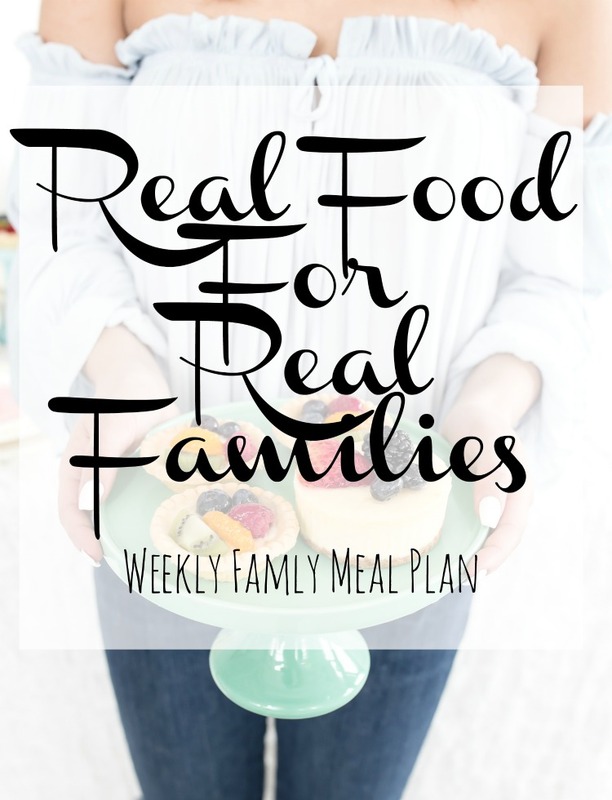 If you're new around here, on Monday morning, I share y intentions for feeding my family each week, with my weekly family meal plan. If you're a regular visitor, welcome back and I hope you find something to inspire you. The weather is finally decent here, which means our spring sports have kicked into full gear. This week brings us five games and four practices between the two boys. Do you have kids in spring sports? How do you manage the schedules around "regular life" stuff like homework and dinner? It's definitely one of the balance issues for we moms. And now that I work outside the home, it becomes an even bigger balance, as I don't have time at home to prep. We are keeping it light and easy again this week. I have stocked the house with lots of grab and go items, like fruit, granola bars, pretzels, etc. I try to keep the snacks healthy, but we throw some "junk" in there too. They are kids after all, we are real people and we all like cookies. We all just try to do the best we can, right? WE have 3 boys in baseball and tball right now and one in track so we are always on the go. We do alot of sandwiches,wraps, walking tacos and bento boxes on days we will be out of the house. When we have a late game which gives me time to cook, its usually something quick like hot dogs,burgers or pasta. I try to avoid the fast food drivethrough as much as possible because my kids are past the happy meal phase and want double burgers,lol.